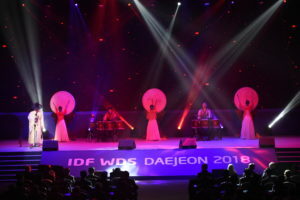 A spectacular grand opening was laid out for delegates at the IDF World Dairy Summit 2018 with a magnificent drum performance taking centre stage at the Daejeon Convention Centre on 15 October. The warm hospitality of the Organizing Committee of the Summit comprising the leadership and members of the Korea National Committee made delegates feel very welcome to the Land of the Morning Calm. 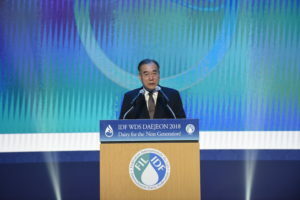 Gracing the event was Korea’s Minister of Agriculture, Food and Rural Affairs, Mr Lee Gae Ho, who encouraged delegates to seize the opportunity to meet counterparts from other parts of the world for in-depth discussions on the future of dairy and to develop meaningful partnerships for growth.